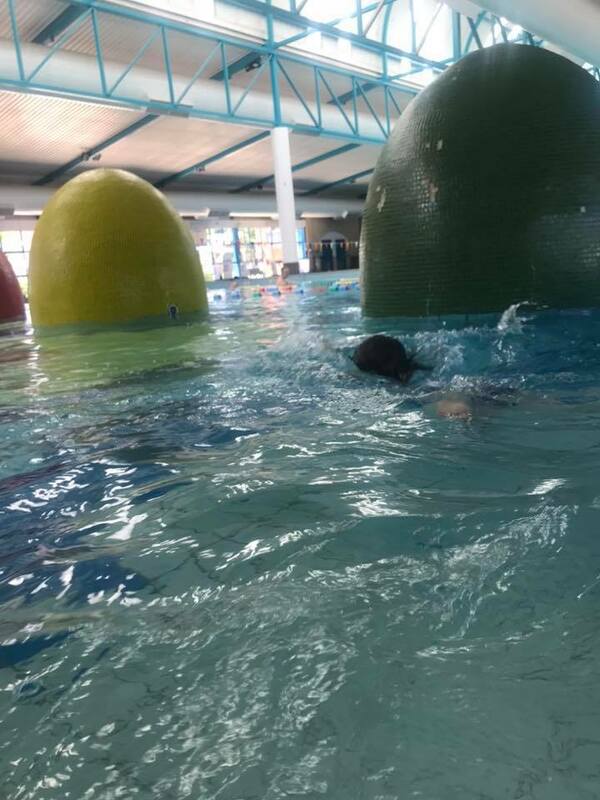 Although we do swimming lessons every week, the kids are often asking if I can take them swimming outside of their lessons so they can just play. 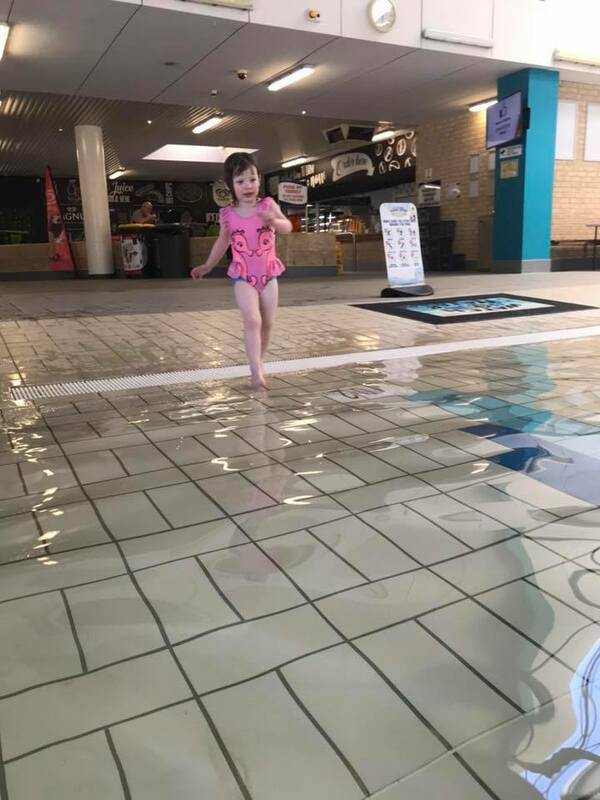 This week we went to Swan Active in Midland (previously Swan Park Leisure Centre). 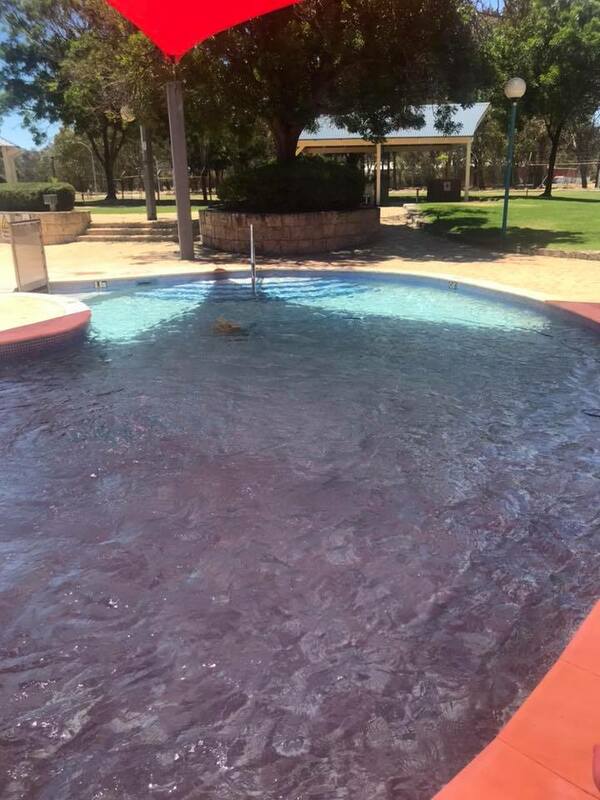 At only $6.50 for me to swim, as under 5’s are free, this is such a good way to cool down on a hot day and burn some energy. 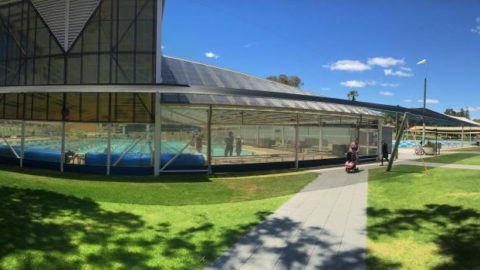 There’s a great outdoor pool area with a couple of shallow kids pools, grassed area, gazebos and BBQs. 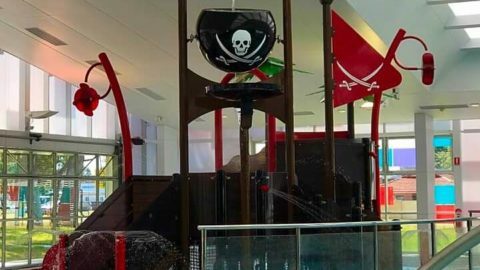 This would be fantastic in summer to spend awhile afternoon playing in the sun. 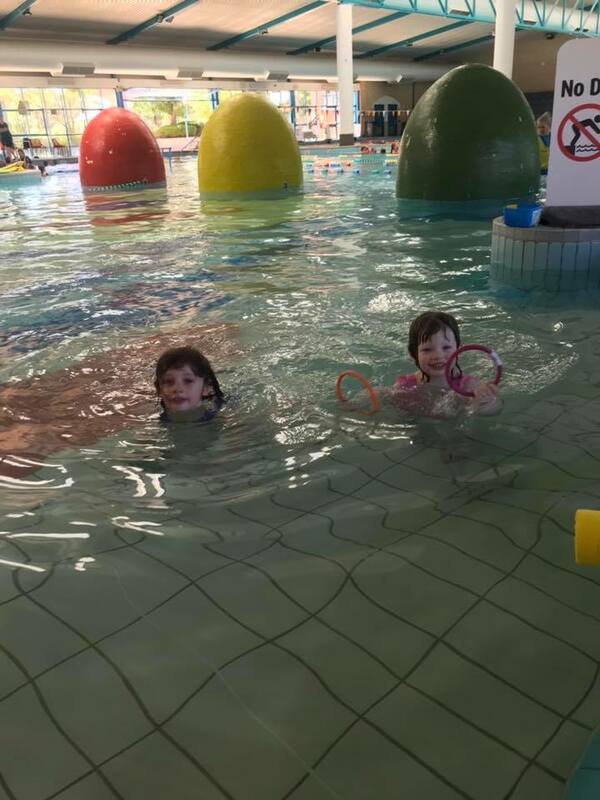 It was a little cool on the day we visited so we stuck with the indoor heated pool. 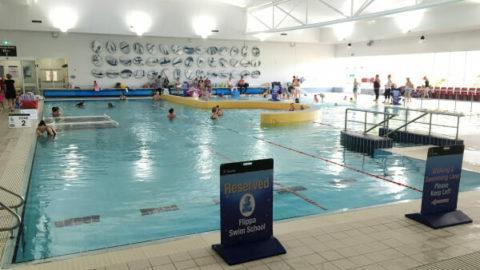 Indoors there is a large 8 lane lap pool which is heated to 26.5 degrees, as well as a leisure pool heated to 32 degrees. 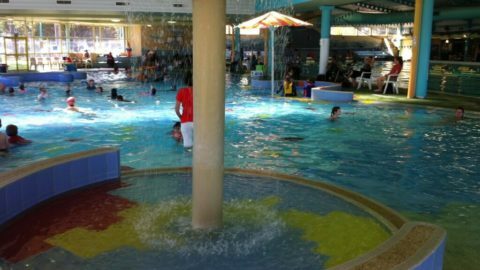 The leisure pool is divided into two sections by 3 large egg-shaped features. 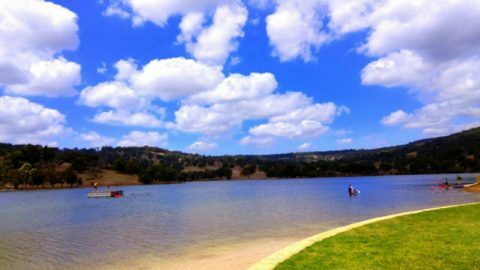 The first section has a walking lane and a slow swimming lane and the second section is shallower with a beach entrance and is perfect for recreational use. On the edge of the pool, the girls found noodles and sinky toys. They were kept busy for ages throwing the toys and seeing who could collect them first. 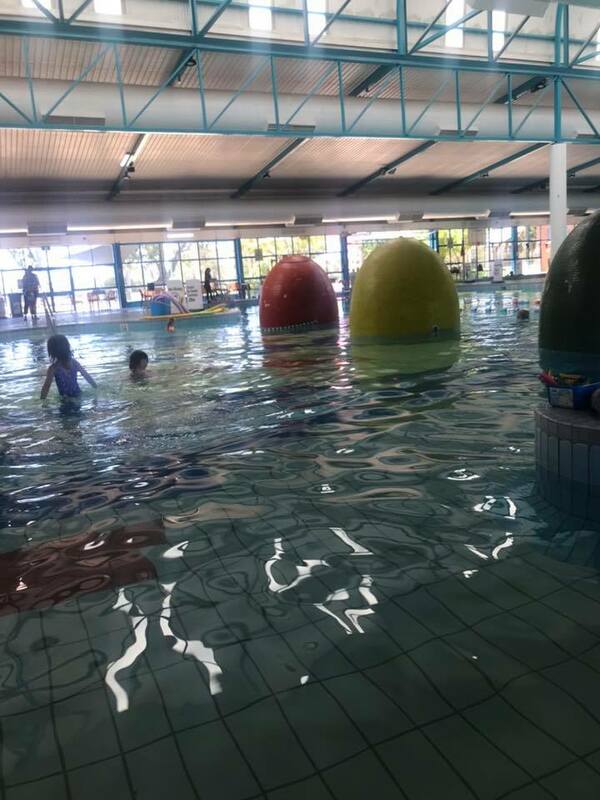 The shallow section is shallow enough that miss 4 and miss 2 could reach the bottom and loved being able to play independently with me just floating around next to them. There’s lots of tiered seating at the opposite end of the pool or some bench seats around the edge of the pool. I just left my bags and towels on the bench near where we were swimming but there are also lockers available. 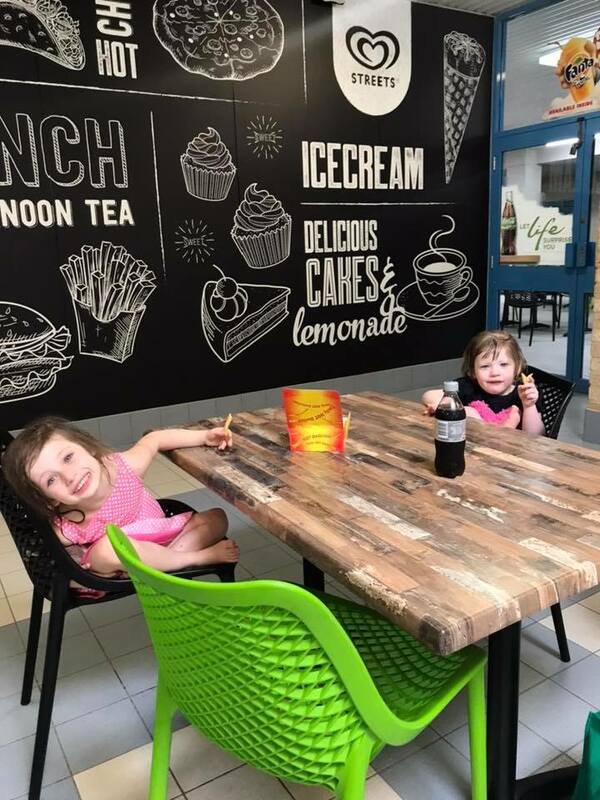 After our swim, we went to the cafe for some chips. We just got in on time, at 12:59, as the cafe was closing for the day. 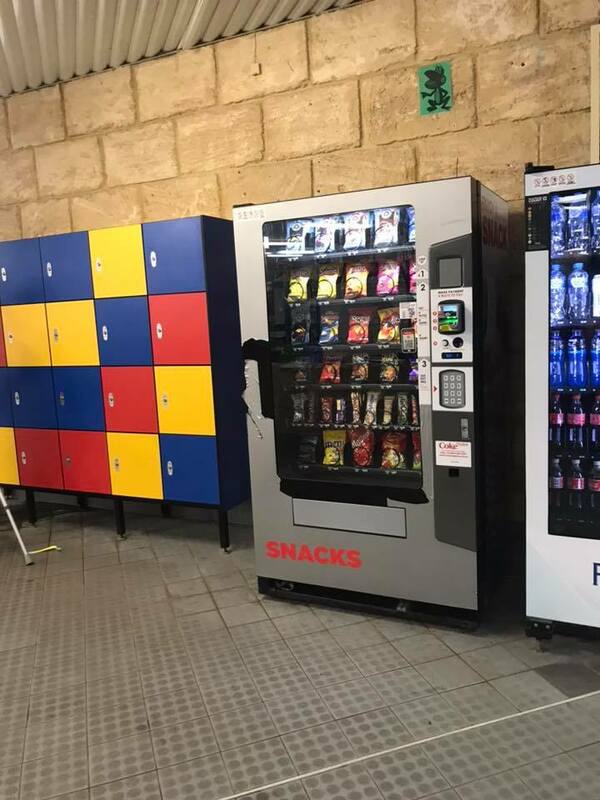 There are also a couple of vending machines available if the cafe is closed. 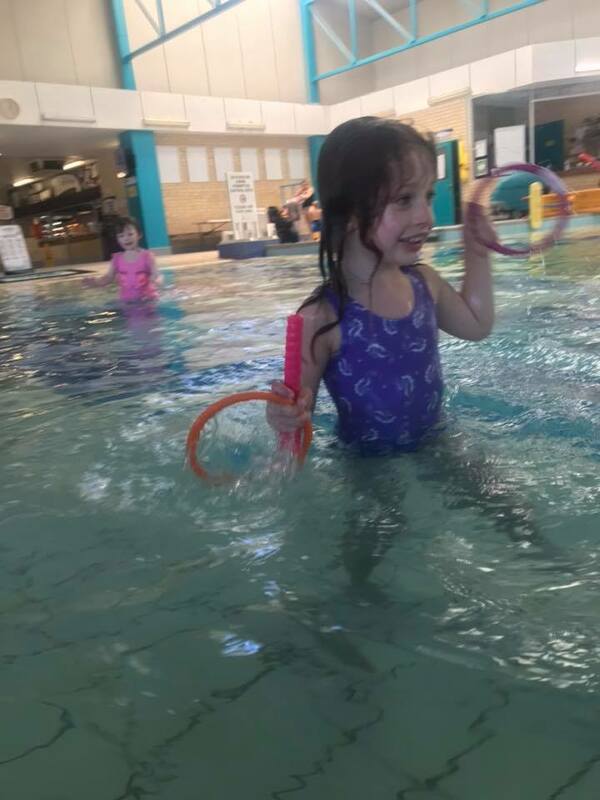 We enjoyed our swim at swan active – it’s such an affordable activity and one that the whole family can enjoy. 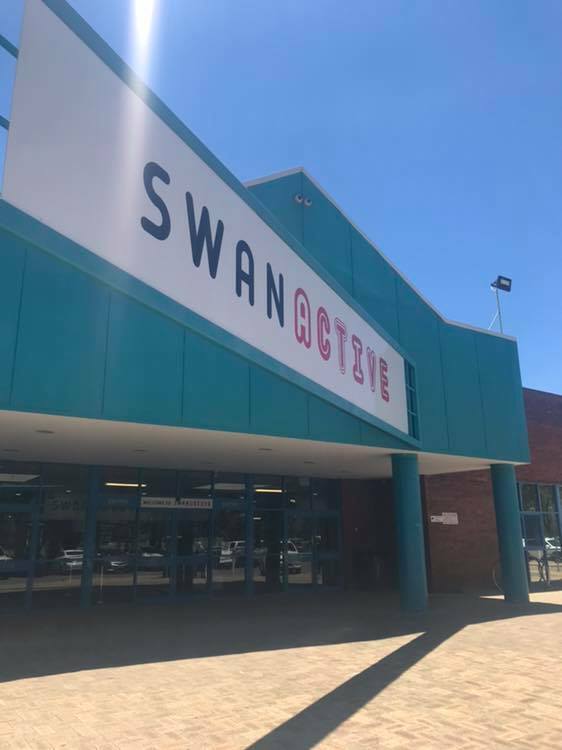 Swan Active also has a gym, fitness classes, a crèche, and sports courts and offers different programs, activities and birthday party options. 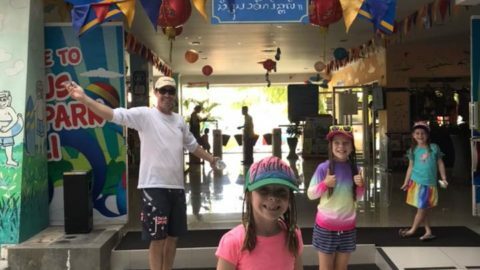 Amy is a SAHM to 2 girls and also currently studying, part time, towards a bachelor of commerce with business law major. 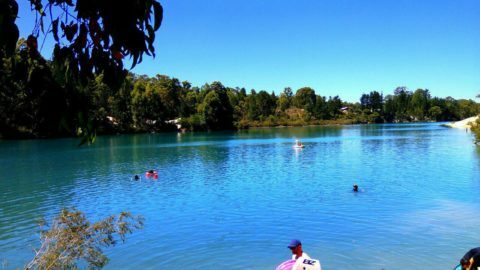 She loves filling her days exploring Perth and all it has to offer and sharing her adventures on her Instagram.